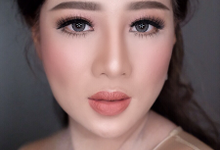 the best MUA in jakarta... cc nya baik dan tidak sombong,suka bnget sama makeup nya cc stev... pkk nya the best makeup artis deh cc stev.. sukses trus buat cc stev... recoment banget deh.. I'm so happy n impressed with this girl magic hand 😊. 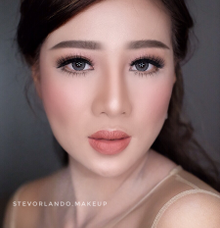 Thank u ci Stev, for made me look flawless n pretty on the party.\n\nGk cuma aku aj yg puas sama hasil make up nya ci Stev, temen² aku jg bilang bagus karena gk terlihat heavy make up n tetap terlihat cantik.\n\nCi Stevanie are amazing n very recommended.\nAnd of course, an affordable price for u girls.\nThank u once again, ci Stev! 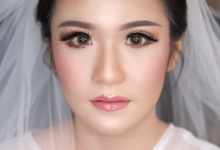 Jujur aku tuh gk suka dimakeup-in heboh, tpi tetep pgn tampil gorgeous n kliatan makeup-ny keren. 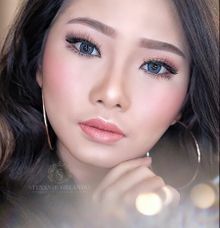 Awalny sempat ragu, apa bsa makeup gk heboh tpi keren n sesuai keinginan?\nNah, sma ci Stevani kekhawatiran aku gk kejadian. 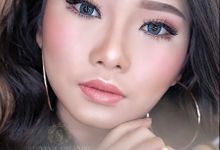 Makeup-ny bener² sesuai keinginan aku bgt, soft n gk menor. Tamu² yg hadir jg bnyak yg muji makeup-ny, pkokny seneng bgt deh.\nThanks bgt untuk cici Stevani. Two thumbs up! So in love banget sama makeup nya ce Stev ❤ Thank u so much for make overing me!! Sebelum makeup juga dapet treatment, not only makeup! Pokoknya super love!! 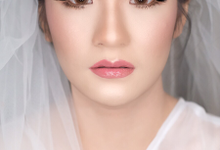 No I might have other wedding makeup services to assist to, so I leave and come back for the retouch session. 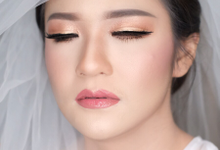 Yes We do accept pre-wedding makeup services to all over the world. 2-3 months before wedding date. We provide a clean look finish. Our makeup looking glamorous yet natural; that is our aim. Even though we paint art on your faces, we want you to look as natural as possible so that we do not get rid of our own natural beauty faces. We charge by per event on the package that the client has chosen. 10% after confirmation on contract, the rest of 90% before date of event. 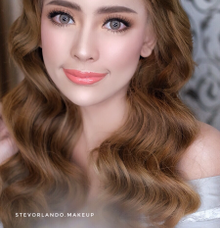 StevOrlando Makeup is established by Stevanie Orlando. 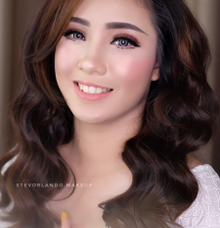 Stevanie is a professional makeup artist based in Indonesia. Has been serving the brides since 2012. 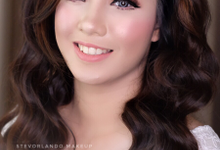 Stevanie graduated from a lot of the most reowned makeup artists. With years of beauty trainings, we are very much dedicated to serve clients for a great outlook on their special day. We are using high quality product such as Estee Lauder, Shu Uemura, Mac, Huda Beauty, Dior, Naked, Nyx, Makeup Forever, Artisan, Cle de peau, etc.